The joys of having three cameras -- a "big" camera, a "compact" camera and a cell phone camera! This means I find all sorts of photos I forgot I snapped! Here are some more photos from our Rock Star Camping Trip we took at the end of June. This is Grandpa's Coach. It comes with rules -- you must wear very large sunglasses while driving or being a passenger. You cannot go the speed limit, it must be lower, and you have to go to bed at 8pm and get up at 6am! 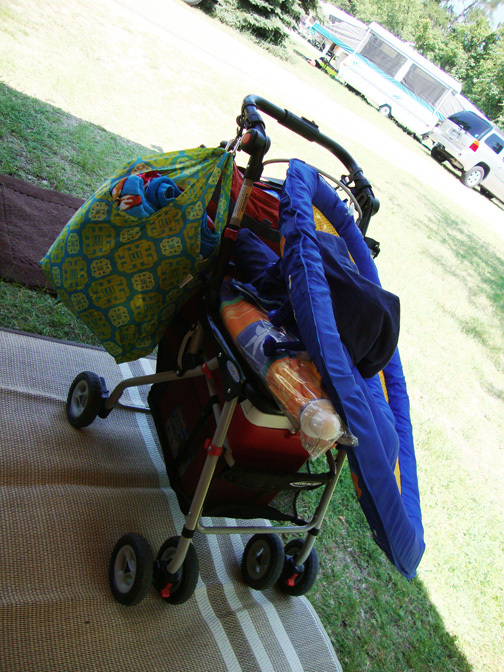 Okay, so I made all of that up, but when you pull into a state park with this rig, you almost draw a crowd and when you get out with an infant, you turn heads. Rachel was enjoying eating cereal in the motorhome. 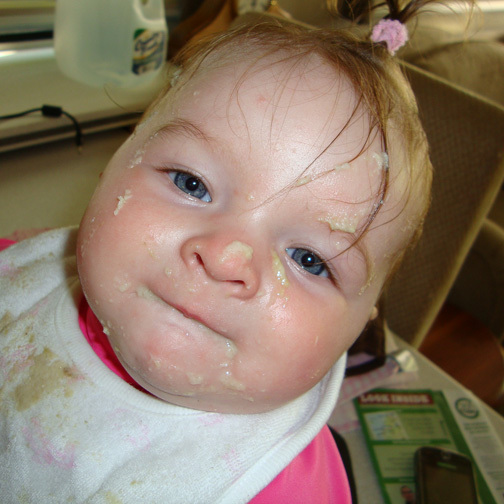 She isn't usually this messy, but on this particular day, she wasn't focused. She got a sink bath shortly after this! Here she is, all ready to go to the beach for her nap! 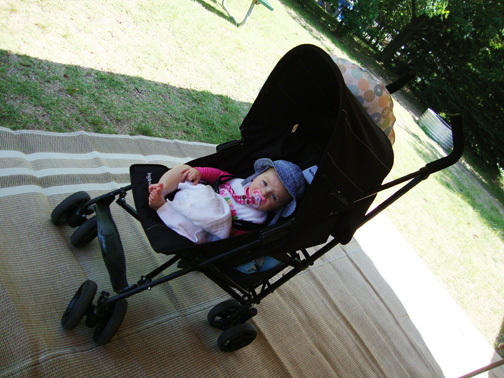 And here is all the stuff we took to the beach in the other stroller!